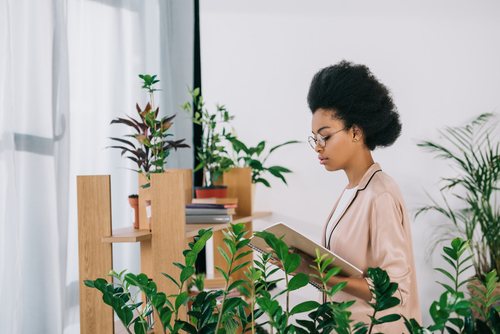 A plant-filled office could reduce worker sick days by a fifth, according to a study by Wageningen Environmental Research. The academics, working with plant experts Fytagoras, looked at three businesses and 75 employees in the nine-month study. Although the data set is only partially complete, due to one company withdrawing from the study and some workers leaving, the three-month result suggested plants have a strong positive influence in the workplace. In each of three companies, two similar office spaces were provided. One was filled with plants worth several thousands of euros, including installations on the walls. The other was left bare. The researchers then measured the environment and worker satisfaction levels at three-monthly intervals. ‘It’s known that light makes employees function better, and plants have been shown to have a positive effect in the lab,’ said senior researcher Sjerp de Vries to DutchNews.nl. Although people in the green rooms showed reported the same levels of stress, they took 20% fewer days of absence on average. The plants had a scientifically-measurable impact on the air moisture levels, however. These were 5% higher on average, and up to 17% higher in the rooms in winter months. Workers also were more likely to report comfortable temperatures rather than feeling too cold and warm, and 26% found their workplace more attractive. If the sick day pattern were consistent, the effect could mean 1.6 fewer sick days per worker per year, according to a press release on the study, which is being discussed at a conference today. This could mean the companies would ‘pay back’ the investment in plants in about six months. The final research paper is still being written, according to De Vries. He added that although plants such as the chlorophyta are particularly effective in improving air humidity, the rooms did not need to ‘look like a jungle’ to have an impact. DutchNews.nl has contacted firms that took part in the study to ask for comment.